Are you unsure whether you should hire a real estate lawyer in Peoria, IL to assist you with buying or selling a home? 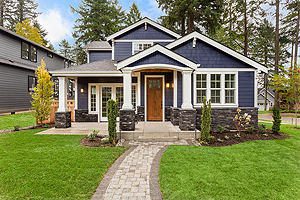 When the purchase or sale of a home poses potential legal challenges, a real estate lawyer can help you work through the complexities of the situation. By negotiating with all parties, your lawyer will skillfully and equitably help to facilitate an amenable outcome for everyone involved. Kepple Law Group, LLC advises clients in the communities of Peoria, Pekin, East Peoria, Morton, and Washington. Their experienced professionals understand the complexities of Illinois and regional real estate law and can help you comprehend your rights and responsibilities as a purchaser or purveyor of property. A qualified attorney at Kepple Law Group, LLC is ready to talk with you. Contact us today to discuss your unique legal needs.